Cycling to work is great exercise, but it’s a bit of a downer when you have to sweat your way up a hill. That’s why you should take advantage of this nifty Google Maps feature for cyclists. Along with biking directions that take you along the friendliest routes, Google Maps can display elevation levels, which are pulled from geographical data. If you are searching for the most bicycle-friendly routes, take advantage of this information! Elevation levels are available on both Android and Web versions of Google Maps. Let’s plot a route on Google Maps and see how to take the path of least resistance. 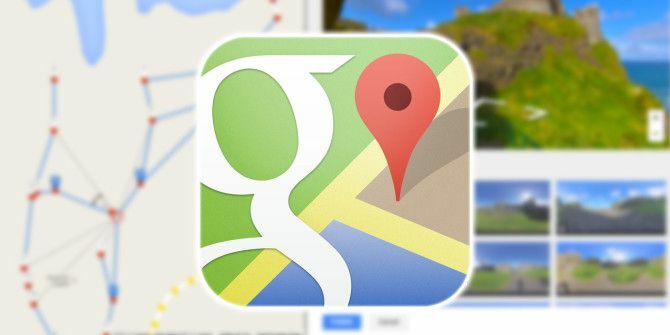 Enter your current location or allow Google Maps to auto-detect where you are. Enter your destination in the Search field. You can, of course, choose any location and plot the ideal bicycle route between them. Click the icon for “Cycling” from the other icons on the top, which include Driving, Transit, Walking, and Flights. The Elevation (altitude) data is displayed as a little graph on the left of the map on the desktop. Click on Details to expand the turn-by-turn route. Elevation information for each point on the route is also mentioned. You will notice that Google Maps also suggests the higher spots where it thinks you are better off walking the cycle. The graph and the numbers are helpful for you because they indicate the highest and lowest elevations and the total elevation changes across the route. Do note that Google Maps indicates only the sharp elevation change along the route. In some cases, it might be off by a few meters. But you can get a better idea by dragging the marker across the blue lined route on the map and see how the elevation sweeps and dips on the graph. You also know by now that you can drag-and-drop the markers on route line to plot an alternate-but-more-gentle option based on your experience. Serious cyclists don’t mind a hill or two. Because they know that if there’s a tough climb, then there’s also a pleasant descent. Either way, give Google Maps a try the next time you decide to push the pedals. There are many bicycling websites and bike apps 5 Awesome Ways to Use Your Smartphone When Cycling 5 Awesome Ways to Use Your Smartphone When Cycling Having a smartphone with you as you cycle around town, along a well-beaten path, or even through the woods while you blaze new trails, can prove mighty useful. As you'll see with the apps below,... Read More that can help you find the best bike paths The Top 8 Websites To Find Maps Of Bike Paths Near You The Top 8 Websites To Find Maps Of Bike Paths Near You Read More , and Google Maps should be one of them. Have you tried the elevation feature on Google Maps? Has it helped you find a well-beaten path across town? Helpful article, I found you on Google. If Google Maps does not give you the elevation info for cycling (in Singapore, for instance, it doesn't), you can simply click the "hiker" button instead and you get the same info. Nice tip, I didn't know GMaps had elevation data for cycling routes—also useful for hiking, running, etc. However, the data are only available if there are significant hills. I tried it for a route that I thought was hilly, but GMaps said it was mostly flat—ha! Yes, Keith...Google ignores small elevations. That has been my experience as well.